Welcome to your local roofer in The Woodlands Tx. Over the last 20 years, Discount Roofing has been serving Montgomery and surrounding counties in Southeast Texas. We take pride in a reputation for quality and dependable service. We serve both residential and commercial customers in and around The Woodlands, Conroe, Willis, Huntsville, Southeast Texas area. Our success wouldn’t have been possible if we didn’t have a great professional team who takes pride in every project they complete. They are the one responsible for the simple on our Customer’s face. They always ensure our service quality exceed your expectations. And with our competitive pricing model, we are always busy in dressing up the property of our clients. Discount Roofing is a full-service roofing business with a variety of offerings. Whether its a new construction or a repair job, Discount Roofing, your local roofer in The Woodlands Tx, is always there to ensure you are covered. We offer our Customer expert consultation and provide premium quality craftsmanship. Our professionals are highly qualified & certified and undertake the following service types. Chimney Flashings… to name a few. Since we ourself run a business, we do understand the importance of commercial roofing for an establishment. If you have a damaged roof or a roof that badly needs maintenance. This can potentially affect the functioning of your business. 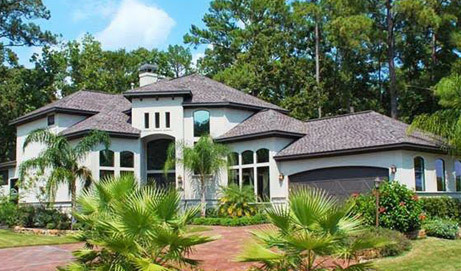 Discount Roofing, your local roofer in The Woodlands Tx, is always at your service. We undertake commercial roofing service with extra care to minimize the ideal lead time of your business. We always strive to exceed your expectations, by delivering a roof which goes with your professional profile. This effort and dedication have landed us a good number of satisfied customers in our kitty. Whether it’s a leaking roof, damaged roof or roof that require repairs and replacement. Discount Roofing is the name that serves all your roofing needs. God forbid, during natural calamities, we ensure to answer your call at the moment of crisis. We can also guide you in the selection of roofing materials to fit in your budget and lifestyle. How overwhelming it may look, we ensure you get what you dreamed of. You can count on your Local Roofer in The Woodlands Tx – Discount Roofing. We ensure quality material usage and top of the line workmanship with certified experts. We deliver your dream, without burning a hole in your pocket. With years of hard work, we have to build a solid reputation we are proud of. And we are confident to keep on building it for the years ahead in The Woodlands Roofing industry. If you have any questions or need an estimate just give us a shout at 936-756-1170 or fill in the form on your right and one of our experts will call back at the earliest possible. 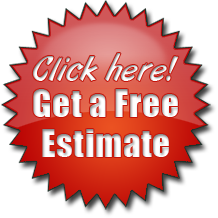 Call us to get a Free no-hassle estimate and Roof Inspection.